Bahamas wedding documents are straightforward and easy as can be. Though we consider marriages to be a totally romantic and public display of affection today, they are still state-sanctioned unions. Marriage requires a fair share of paperwork and verification from the home country. When couples consider destination weddings, they worry that this paperwork will double, unaware of the regulations and requirements for tying the knot in a foreign country. As a matter of fact, for couples considering a destination wedding in the Bahamas, they can rest assured that the Bahamas wedding requirements are as straightforward as possible. 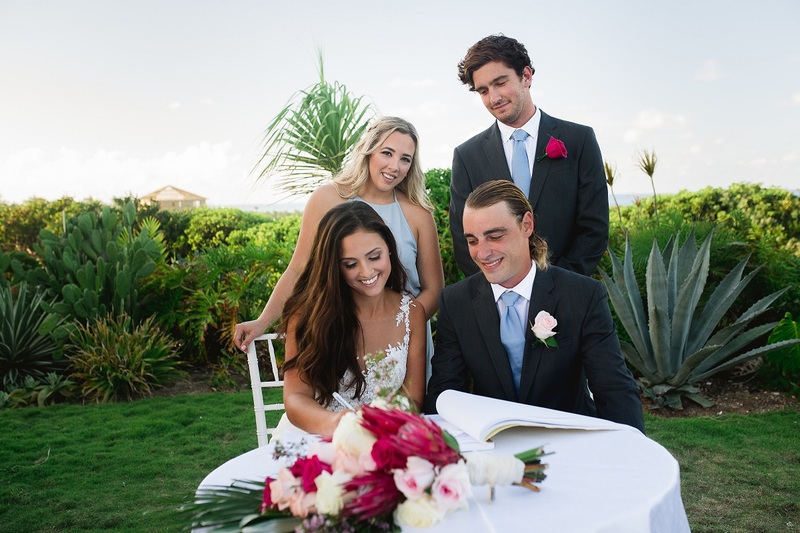 From filing for the marriage to sealing the deal, the Bahamas strives the make the process as accommodating and easy as possible for interested couples. Obtaining a Bahamas Marriage License is the first part of the marriage process. It is as easy as can be. The application for the license can be filed within 24-hours of arriving in the Bahamas. Unlike the states, which can take up to a few weeks to really go through and approve the licensing process, the Bahamas gets it to you at the last second. Therefore, this is especially good for those last minute planners. Not to mention that it takes an hour, sometimes less, to complete the application process. All licenses are issued the same day of application. The application process is very short. It’s completed within an hour or less! Coupled with the application period and application processing time, this cannot be beaten! Licenses are valid for 90-days after being issued. To be legally married in the Bahamas, you need Bahamas wedding documents that show your identification. These Bahamas wedding documents include a passport, as well as documents to prove your age. A birth certificate or a naturalization record serves this purpose. It is worth noting that non-residents cannot obtain a marriage license if that marriage is void in that state. In the Bahamas, there are no blood tests for the marriage process! Again, easy and straightforward, the Bahamas is not keen on complicating the marriage process. 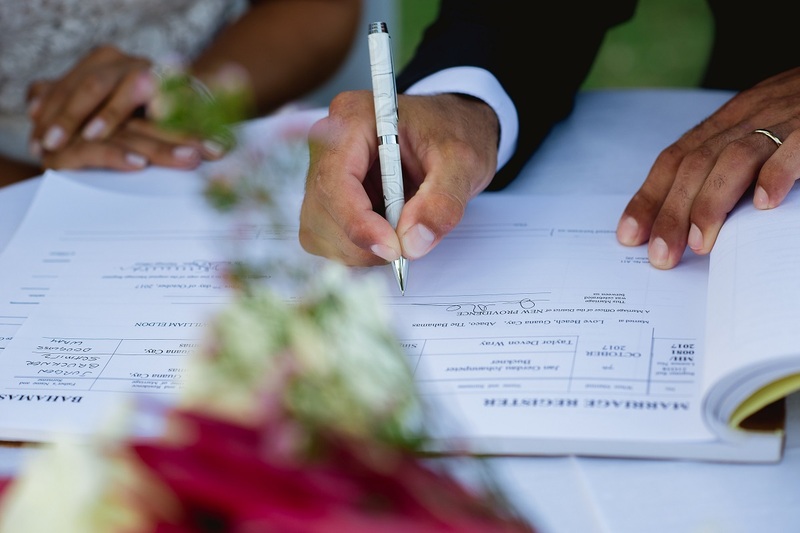 Bahamian Marriage Licenses can be applied for at The Registrar’s Offices in Nassau and Grand Bahama Island, as well as in Administrator’s Offices in the Out Islands. Also, offices are always open Monday through Friday from the typical 9 AM until 4 PM., except on Public Holidays. That’s it! It’s as easy as that to tie the knot in the Bahamas. If you’re worried about navigating a foreign legal system by choosing the Bahamas for your destination wedding, fear not – the process is easier than any American process. Finally, here at Chic Bahamas Weddings, we’ll walk you through each part, answering any legal questions you might have along the way.